Netflix CEO Reed Hastings took the stage this morning at WWDC 2010 to announce that Netflix would officially be coming to the iPhone. The app will support continuing movies that you’ve started watching on other devices right where you left off, and will also include all of the Netflix home page functionality right in the app as well. Adaptive bitrate technology will optimize the data stream, even while on the go. 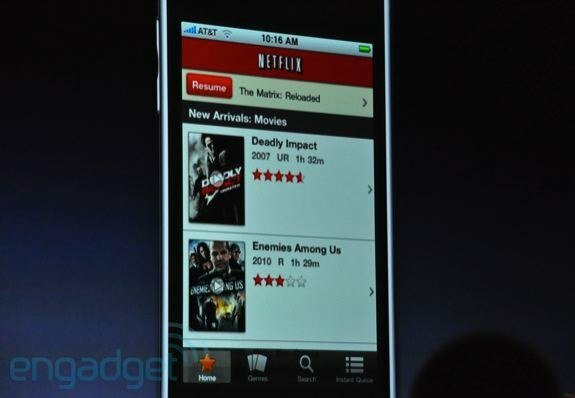 Expect Netflix for iPhone to ship this summer.